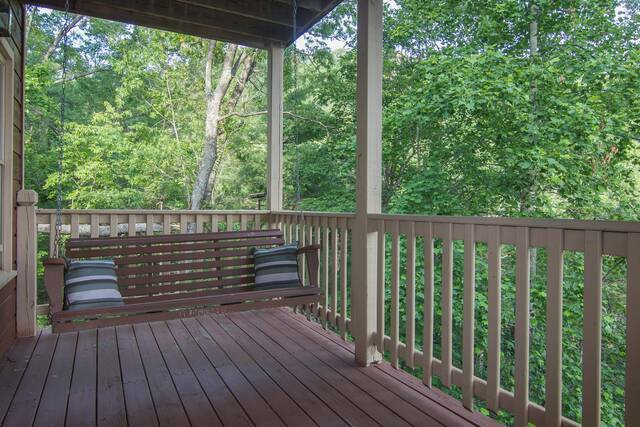 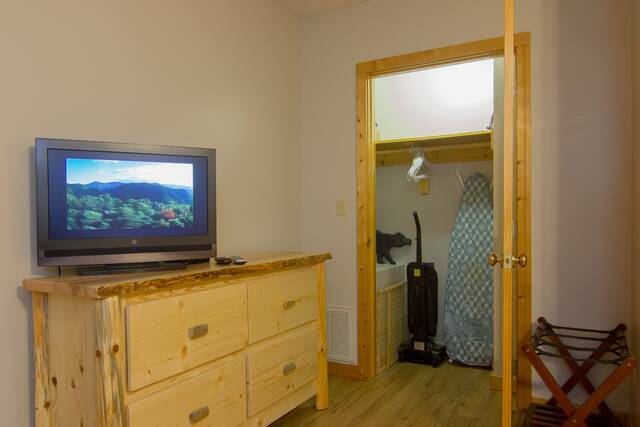 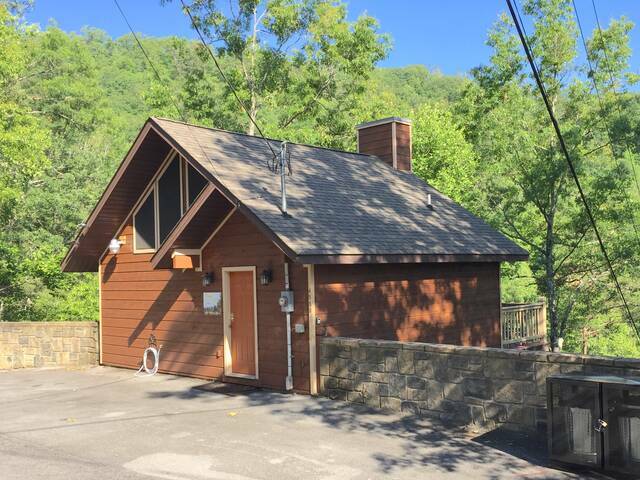 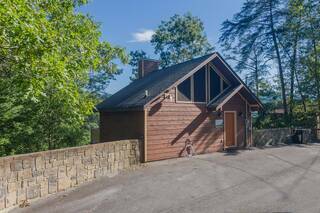 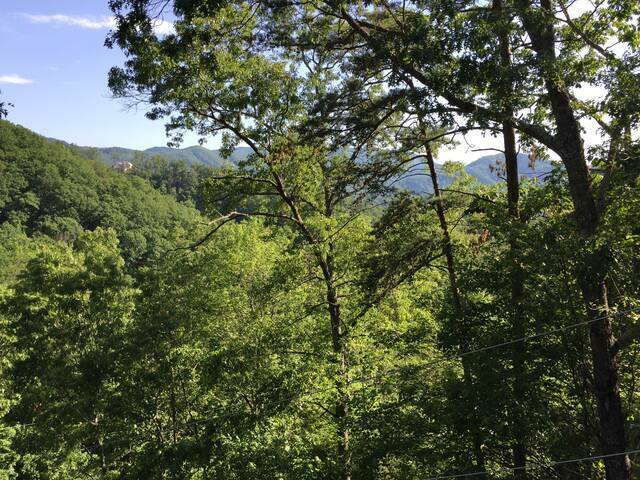 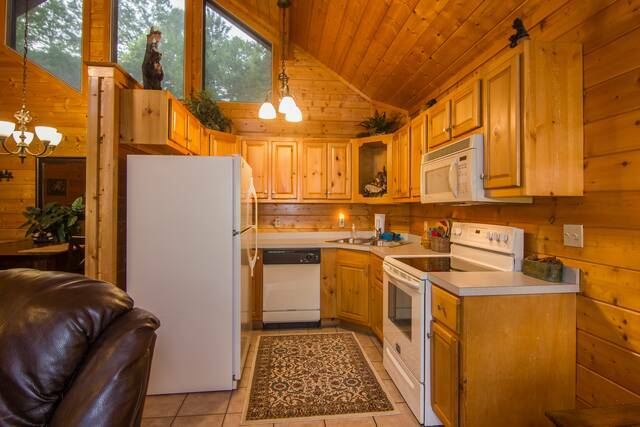 Beautifully maintained cabin with wooded and mountain views! 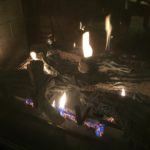 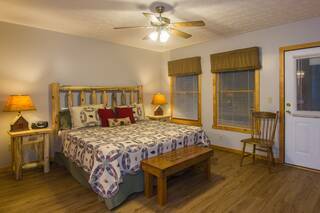 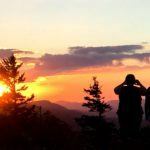 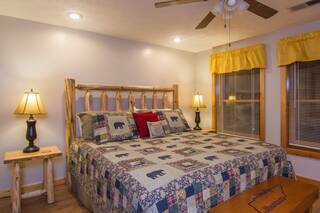 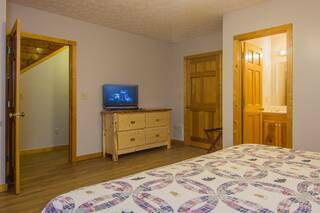 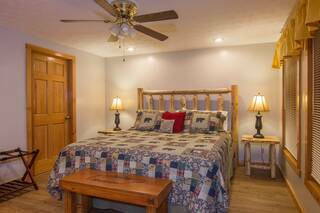 Pet friendly Wilderness Retreat offers you two large king suites on separate floors. 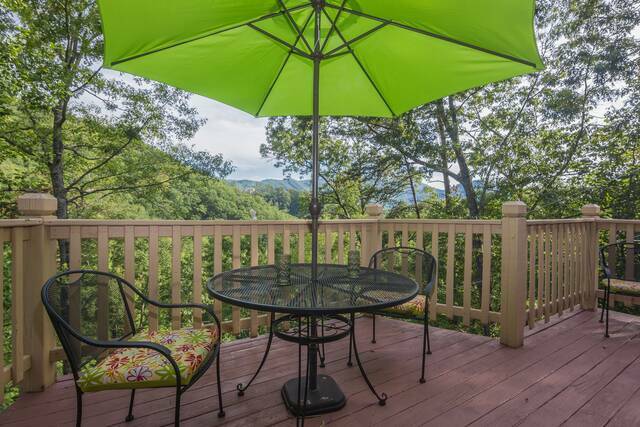 And not one or two, but THREE decks to enjoy the sounds of nature and the views! 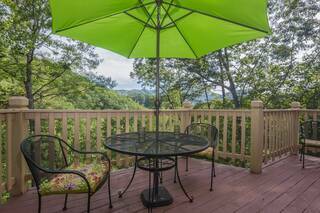 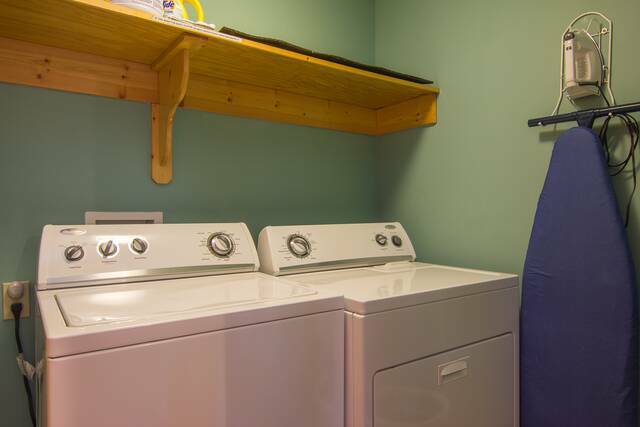 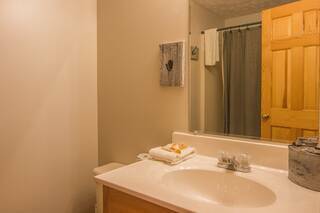 You'll love that it's only 2.5 miles from the Parkway and close to so many major attractions. 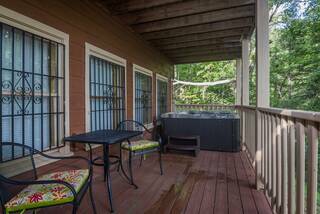 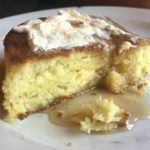 Located on a quiet, dead end street at the southernmost edge of Pigeon Forge. 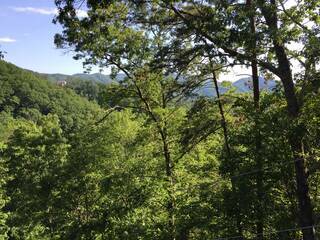 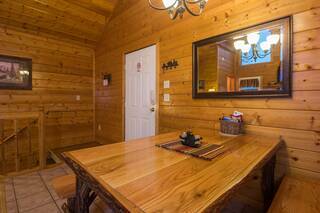 There's only one cabin nearby (our GrandView cabin) so you won't be looking out to other cabins and rooftops. Wilderness Retreat sleeps 6 guests between the two king bedrooms and the sleeper sofa in the living room on the main floor. 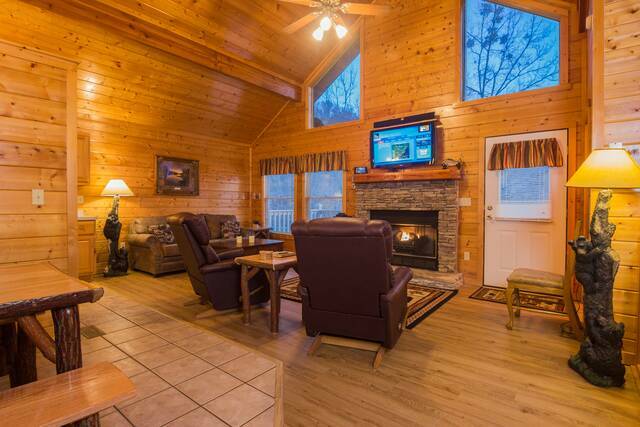 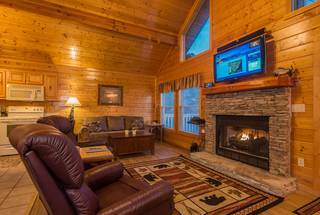 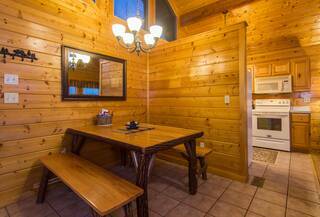 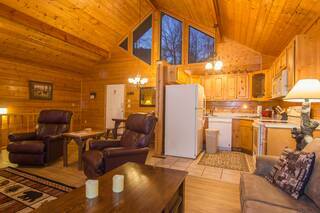 You'll enjoy coming home to this cabin after a full day of fun in the Smokies. 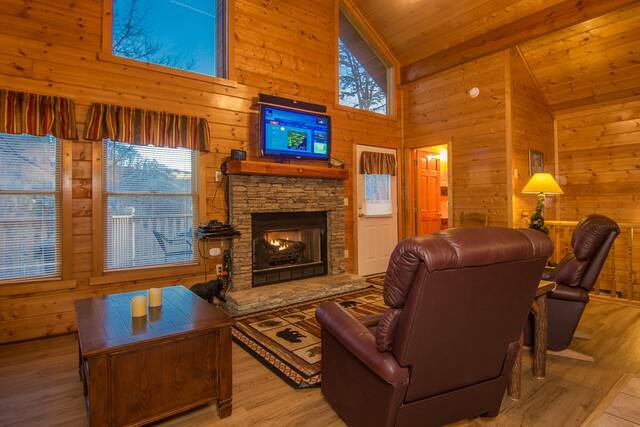 Two oversized recliners invite you to put your feet up and watch your favorite shows on Dish TV. The kitchen is fully outfitted with dishes, cookware and utensils so you can make meals with ease. 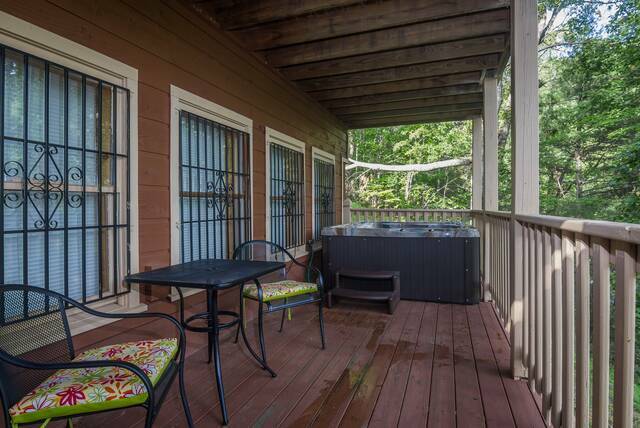 And the decks have tables and chairs so there's no reason not to dine outdoors. Or stay inside and eat at the counter height dining table. 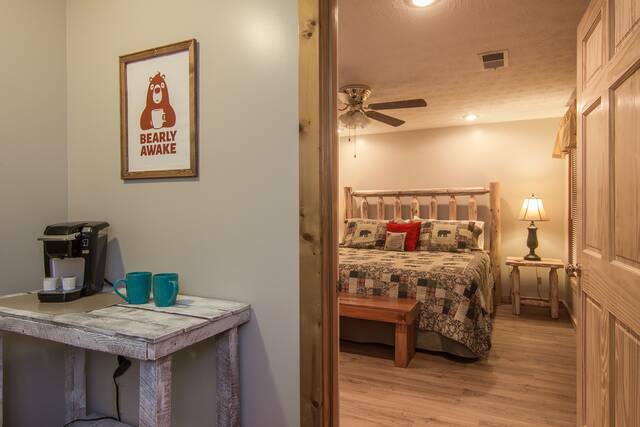 The entire cabin was outfitted with new luxury vinyl plank flooring in 2018. 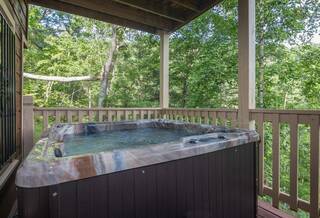 Wilderness Retreat now welcomes small dogs. 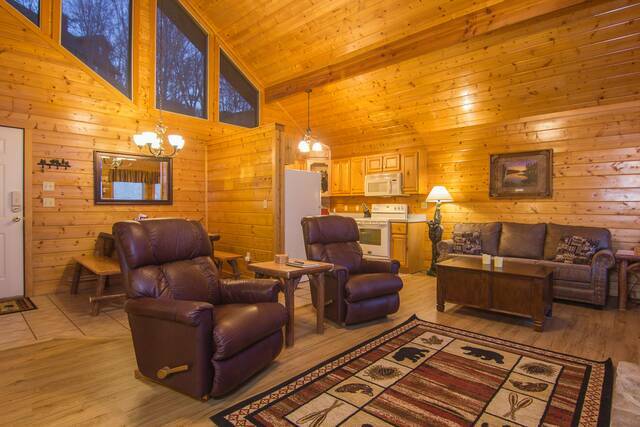 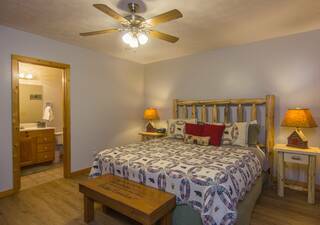 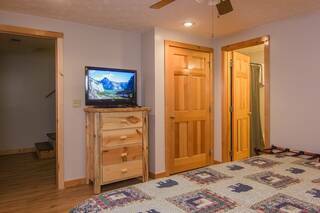 This pet friendly cabin accepts well-behaved, adult dogs that weight no more than 35 lbs. 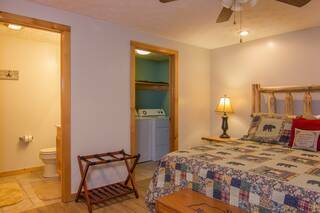 Multiple dogs are considered and guests must provide their pet's name, age, breed and weight prior to booking for consideration. Pet stays are $95.00 plus tax. 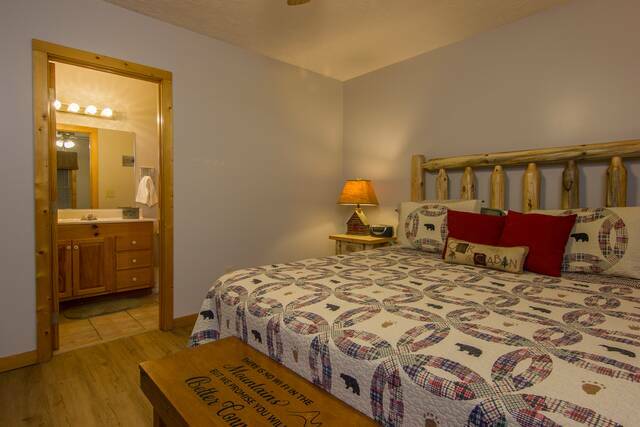 Guests must agree to bring a crate or pet travel pen for their dog to use while they are left alone at the cabin. 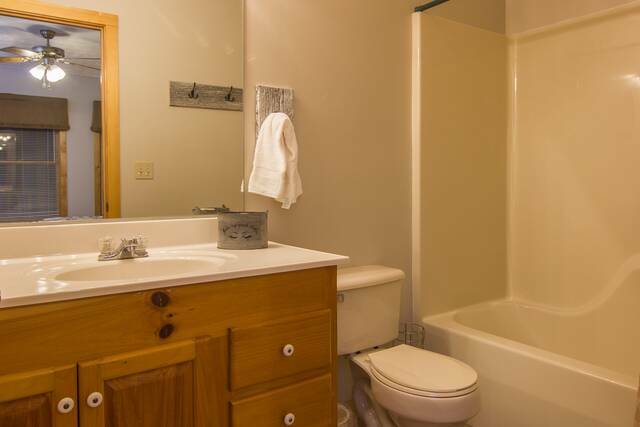 Absolutely no locking of pets in bedrooms or bathrooms while they're alone. 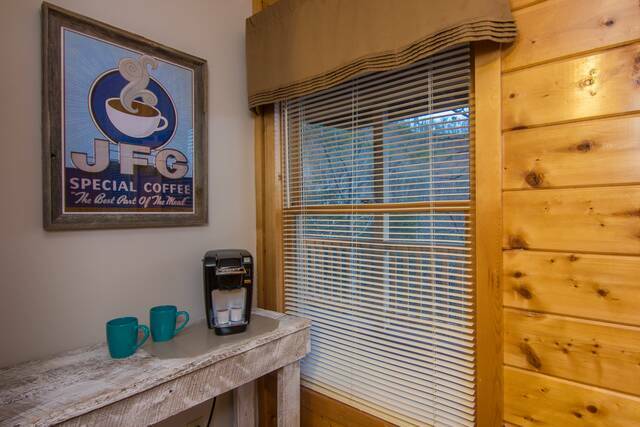 Check email and surf the web with our Verizon MiFi 4G wireless internet. Verizon's Mifi service offers good speed, however it is not suitable for watching Netflix, downloads, watching videos or online gaming. Each reservation will receive 2 GB of bandwidth which is usually plenty for most of our guests. If your party will include heavy internet users, please consider one of our other cabins that have access to cable service.